In the space of a year, Laurie Penny has become one of the most prominent voices of the new left. This book brings together her diverse writings, showing what it is to be young, angry and progressive in the face of an increasingly violent and oppressive UK government. 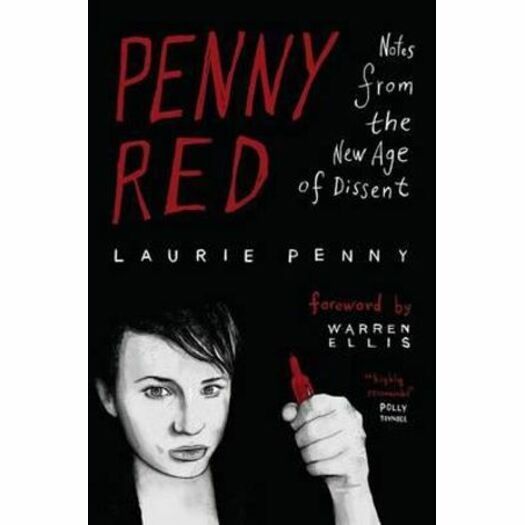 Penny Red: Notes from the New Age of Dissent collects Penny's writings on youth politics, resistance, feminism and culture. Her journalism is a unique blend of persuasive analysis, captivating interviews and first-hand accounts of political direct action. She was involved in all the key protests of 2010/2011, including the anti-fees demos in 2010 and the anti-cuts protests of spring 2011, often tweeting live from the scene of kettles and baton charges. An introduction and extensive footnotes allow Penny to connect all the strands of her work, showing the links between political activism and wider social and cultural issues. This book is essential for understanding what motivates the new generation of activists, writers and thinkers that bring creativity, energy and urgency to the fight against capitalism and exploitation.